Thanks to Welch's for providing me with product for my post. All thoughts are my own. Are you getting your ducks in a row for Halloween? We've settled on costumes and are starting to make our plans for which festivals and events we'll attend this Halloween season. We really love to decorate, bake, dress up, and of course, share special Halloween treats with friends! The kiddos will have Halloween celebrations, and we'll make special treat bags to share with classmates, but I always seem to gravitate toward the same treat year after year... fruit snacks! Welch's Mixed Fruit Fruit Snacks are the perfect snack for your little goblins! Giving toddlers bags filled with Halloween candy just doesn't seem appropriate. I mean, I don't allow my two-year-old to eat a bunch of candy. 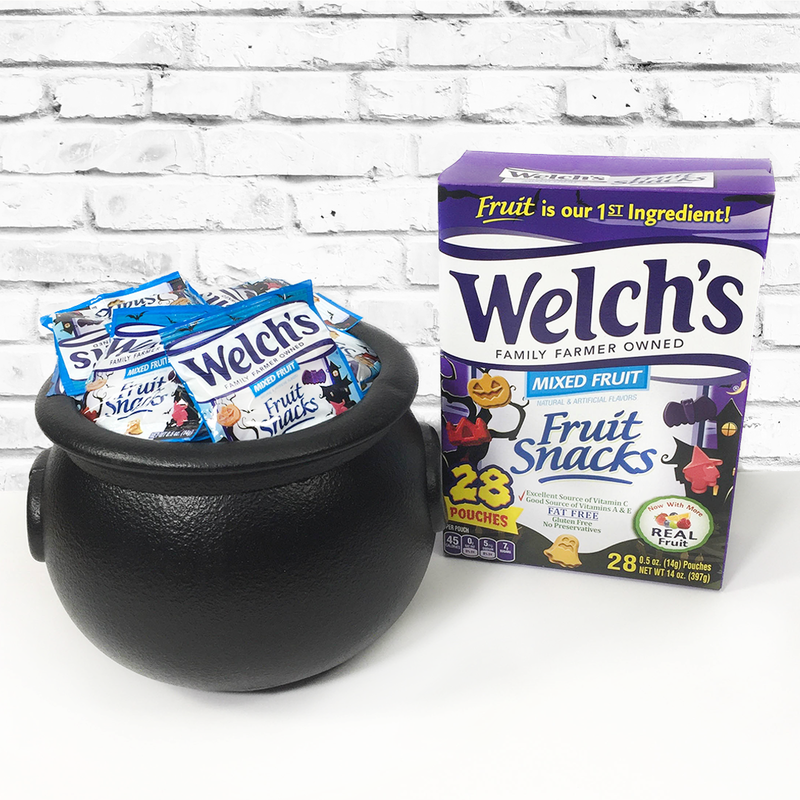 When it comes time for us to put Halloween treat bags together to share with her little classmates at school, I always go for Welch's fruit snacks! Why? Well, they're made with real fruit. They're super yummy, my little one loves them, and they're easy for kiddos to eat. They're also crazy convenient for adding to treat bags or passing out to little goblins and ghouls who show up on your doorstep on Halloween. Kids love Welch's Fruit Snacks! 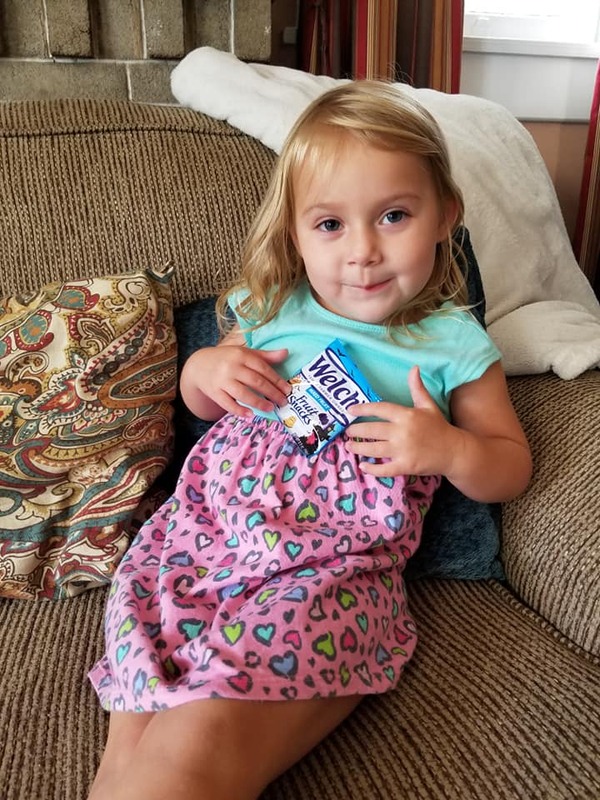 This little sweetie girl loves her Welch's Fruit Snacks! My kids love Welch's. It's a household name for us, and it's one that I trust as a parent. 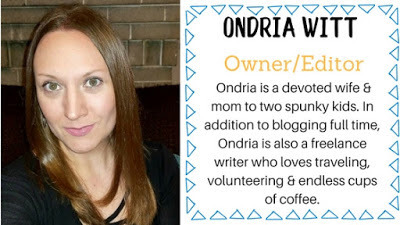 I know what's in the fruit snacks, love that they're made with real fruit (you can absolutely tell the difference, by the way), and love that my kids can grab these little pouches and eat them just about anywhere! We're excited to share these fun Halloween Fruit Snacks with our friends this Halloween- that is, if the kids don't eat them all, first! 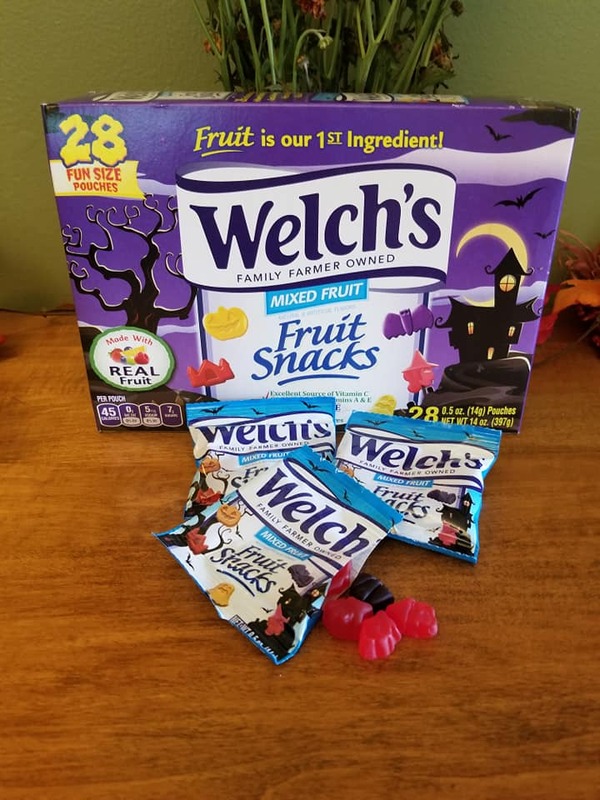 Welch's® Mixed Fruit Halloween Fruit Snacks are available nationwide at Walmart, Target, Walgreens, Dollar General or online at Boxed.com. Connect with Welch's on Facebook and IG. Special thanks to Welch's for allowing me to share about their fun Halloween Fruit Snacks! Look for them in our 2018 Halloween Guide! We like their fruit snacks too. Perfect snack!